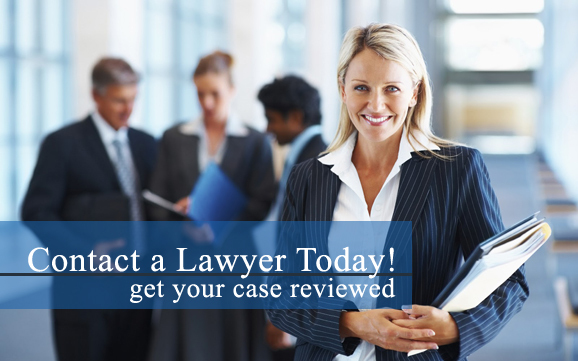 Get lawyer help now for many of the following injury issues. Workers' Compensation Lawyers are experienced in representing catastrophic work injuries which include things such as brain injuries, spinal cord injuries, eye injuries, neurological disorders, severe burns, accidental amputation, and multiple fractures in the work place. Victims of catastrophic injuries may suffer from a loss of movement or sensation. They may lose their ability to communicate or have impaired cognitive abilities. Managing catastrophic injuries can be complicated and require the assistance of a multitude of healthcare professionals. Victims may require the services of healthcare professionals such as physicians, nurses, counselors, and therapists. The long-term costs of services such as these can be astronomical, and most victims are not financially prepared to meet these expenses. A workers' compensation attorney can help victims ensure they receive the monetary damages they deserve. With millions of hard working individuals carrying out occupational tasks on a daily basis, there are bound to be work-related injuries that will likely lead to hurt individuals needing help from a skilled workers’ compensation lawyer. No one expects these awful work accidents to occur, which is why they are called accidents. However, if you should ever get hurt at work, its important to know that your legal rights to claim compensation you may be entitled to should be enforced. An experienced workers’ compensation lawyer will thoroughly review your claim and diligently fight for the benefits you deserve. Regardless of the type of job you may have there is always a possiblity of suffering the unfortunate incident of some kind of work-related injury. According to the U.S. Bureau of Labor Statistics, roughly more than 4.1 million people in the United States suffer a workplace injury or occupational diseases each year. Workers' compensation claims range from a wide variety injuries that commonly occur like sustaining overexertion due to heavy lifting, suffering a repetitive stress injury caused by performing repetive taskes and placing too much stress on joints, as well as, a serious injury in the form of a slip and fall at work due to wet floors around the workplace that in some cases may unfortunately result in death. Have you or a loved one been hurt at work and sustained an injury while on the job? You may qualify for workers’ compensation benefits. You may qualify for workers’ compensation benefits. To learn more about these types of benefits, contact a workers’ compensation lawyer in your area today. If you or a family member has been involved in a work-related accident, you need the assistance of a knowledgeable and skilled professional to help you seek all the benefits you are entitled to under the law. You need our workers’ compensation lawyers. We are dedicated to helping victims who were injured while on the job. We realize the stress and pressures you are currently facing. Let an experienced lawyer concentrate on your workers’ compensation claim, so you can concentrate on recovering. Do you have additional questions regarding workers’ compensation benefits after a work-related injury or accident? Our workers’ compensation lawyers are here to assist you! Contact a workers’ compensation attorney near you as soon as possible for more information.